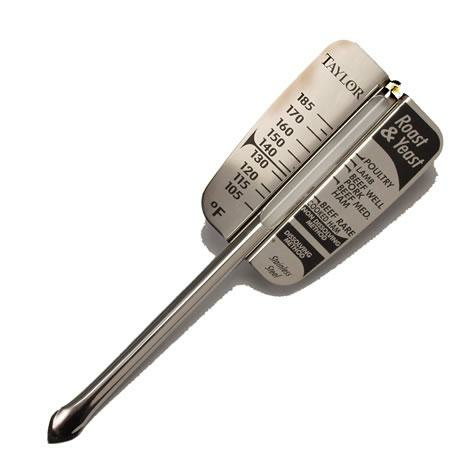 Stainless steel roast/yeast thermometer. Range 105°F to 185°F. Common meat temperatures printed on thermometer face, as well as "dissolving" and "non-dissolving" yeast ranges. Non-toxic liquid filled glass thermometer tube. Armored sabre-tipped design. Durable stainless steel. Dishwasher safe. 6 1/2" long.